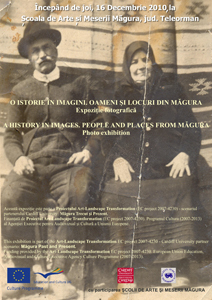 This local history photographic expoziţie, O istorie în imagini. Oameni şi locuri din Măgura, opened at the Şcoala de Arte şi Meserii Măgura on 16th Decembrie 2010. 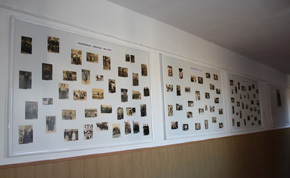 The fotografii were collected by the school children and their families and the expoziţie was designed by the school children and teachers. 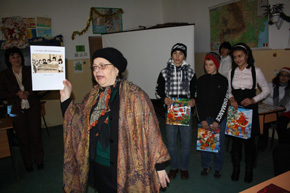 Prizes were awarded by the Director of the Muzeul Judeţean Teleorman, Dr E. Ţânţăreanu, to the school children who provided the best photographs in the categories of: the oldest photograph; the most original photograph; and the most valuable topic of a photograph. In addition, all of the teachers and school children who participated in the Măgura Trecut şi Prezent project were awarded certificates and diplomas. Visit the Media-Fotografii section to view some of the contributions to this expoziţie.